With over 35 million songs on Spotify alone, these tastemakers are often the most powerful link between artists and listeners because they build popular playlists followed by thousands of users. Many of these curators stake their reputations on the songs added to their collections, so getting included is understandably challenging. And, in turn, it makes an add all that more precious. But exactly how to get on those major playlists has remained a bit of a mystery. This has unfortunately led to the rise of some illegal practices – including the ages-old system of payola, by which industry reps pay for songs to be put in rotation. Desperate for exposure, some artists have resorted to this, sometimes paying thousands just for the chance to get on a single high-profile playlist, but, more often than not, turning up empty-handed. Others have gone a more traditional route of hiring a well-connected PR agent or trying to meet some of these curators personally. Naturally, this can be difficult to do, not to mention daunting. Curators regularly make it difficult, if not impossible, to contact them directly (can you imagine how many artists would be blowing up their inboxes?). Until recently, working all other marketing angles to cause enough of a stir around your music was the most viable option for perking the ears of tastemakers. Fortunately, Spotify is taking away some of the mystery and making things even easier for artists. Over the summer, they implemented a new submission tool that allows any artist to directly submit their music to Spotify curators. If they like your stuff, your music just might end up on one of those make-or-break playlists. It's very important that you follow their submission guidelines, though – make sure your music is thoroughly tagged with the appropriate mood, sub-genre, main genre, etc., or it may get rejected. This data is vital to the editors to help determine where, if any, an artist's song might fit in the scheme of things, so the more details you can provide, the better. 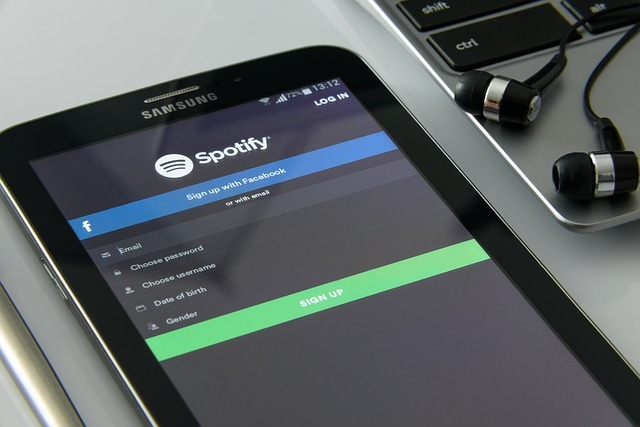 If you have a new track coming out, it's also important to start the submission process early – Spotify suggests doing so at least a week before the release date. If you submit too late, you just might be out of luck – fresh tracks are always the most prized when it comes to building playlists. It's also worth noting that you can only submit one track, so make sure it's your best. The best part of it all is that it's super easy – though it's still rolling out in beta, you'll find the submission tool right there on your artist dashboard, provided you have a Spotify for Artists account. Keep in mind that is always helps to have traction on your tracks beyond streaming, so if your account doesn't include this feature yet, keep gunning for premieres, press, and any other viable marketing angles to increase the odds of curators finding your track on their own. You just might score a life-changing playlist slot.